Preventive Pest Services provides pest control in West Valley City and the surrounding areas. We take pride in providing exceptional customer service, and take to heart the feedback we hear from each and every one of our customers. 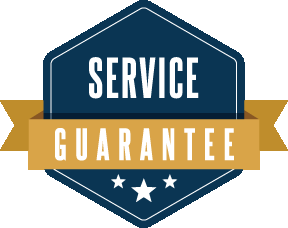 Below you’ll find our reviews, testimonials, and feedback from the home owners and businesses in West Valley City we’ve serviced. If you need a West Valley City exterminator, contact us today! I was nervous about having a pest control company come to my house because I have lots of little kids. I talked with Courtney here and she was very knowledgeable and eased my fears. We were dealing with black widows and the man who came to my house to treat was very friendly. He was thorough and also listened to my concerns. I think his name was Dave? I definitely recommend this company. Excellent, personable and friendly customer service that are head and shoulders above that offered by their competitors (which I have tried). As if that wasn't enough, Preventive is also just plain more effective! The spiders are well and truly dead now. I can’t say enough good things about Preventive. Preventive has been a great pest control company for us! We would definitely recommend them! They have friendly techs and customer service. They also want your wants and needs met! Thanks for getting rid of all my pesty bugs and spiders! Also when we got back in town we had a nasty mice problem and one of the techs came out to show us areas they might be getting in, he put out traps and a couple bate stations! No more nasty ??! He showed up a little late for his appointment with us but was friendly and professional. I would use them again; they did a pretty good job. Professional; honest and friendly. Will use again and I do recommend them. Really glad my apartment is once again roach free. It was starting to become embarrassing to the point I stopped inviting friends over. Can't thank these guys enough for the job they did! Arrived right on time and did a fantastic job; no complaints here! Good experience but I feel I received more treatments then necessary. Overall, the treatments seemed to rid the yard of ticks. Solved our bug problem fast! Really liked this company; think about hiring them if you need to get rid of a bug problem. This company does what they say they're going to do when they say they're going to do it. I was with another pest control company before moving to preventive. I'm glad I made the switch. Now I have better results, a predictable expense and timely service. I have been a customer for many years now; I have always received excellent service; thank you.